Four in five adult Australians drink alcohol, so this is a market with strong demand that spikes during holidays, events and weekends. Colloquially known as bottle-os, bottle shops sell alcoholic beverages such as beer, wine and spirits to Australian consumers. They can either be independent stores or part of an established supermarket. These shops generated sales of nearly $17 billion in 2016 and collected an estimated $5.1 billion from indirect alcohol taxes and GST revenues. The industry has adapted to consumers’ changing drinking habits, preferences and needs. And certain trends in the sector provide great opportunities for independent bottle shops to specialise and stand out from the competition. For instance, as consumers increasingly seek better quality tastes and more niche products, wine styles and grape varieties have emerged that were hitherto rarely seen in Australia. The craft beer movement has continued to flourish and premium and artisan spirits continued to grow in popularity. In Australia, the regulation of beverage sales is the state’s responsibility. The federal government controls the importation of alcohol into the country and TV advertising. So laws vary depending on the state in which you buy premises. For example, in New South Wales and Victoria, supermarkets and convenience stores are permitted to sell liquor, whereas in Queensland, only specialised retailers such as bottle shops can do so. 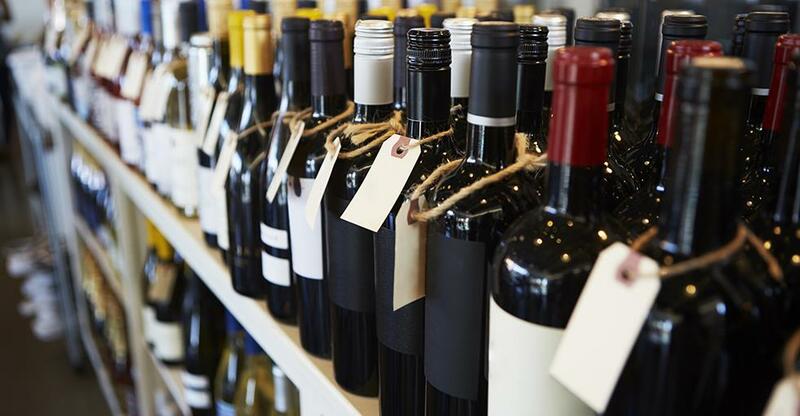 The retail and wholesale of alcohol in Australia requires a licence that can be obtained from the liquor licensing authority of the territory or state in which the sale takes place. The liquor licensing authority also regulates the location of retail outlets through regulations such as planning laws. You will also need to understand any restrictions on opening hours, which are restricted to varying degrees by different states, cities and counties. Noncompliance with these laws is considered a criminal offence and punishable by law. In Queensland, for example, all liquor licences are issued with preapproved trading hours. For most ordinary licences the trading hours are limited to between 10am and 12pm. If a business owner wants to trade outside these hours they will have to apply for extended trading hours, on either a one-off or permanent basis. Find out more about a licensee's compliance obligations in Queensland under the Liquor Act and Wine Industry Act in here. Sydney’s controversial lockout laws, meanwhile, prohibit the sale of liquor after 11pm in a bid to reduce alcohol-fuelled violence. Before you can start selling bottles of beer you have a lot of homework to do. Just some of the requirements of opening a bottle shop include: choosing what kind of store you want to run, acquiring a list of licenced suppliers, setting up security measures and getting your paperwork in order in regard to local and national regulations and taxes. A professional lawyer can help you get your head around federal, state and city laws, country restrictions and zoning laws in your local area. If you’d rather resist paying for professional help, then make sure you do your independent research thoroughly. Well-known chains such as Coles along with supermarkets like Woolworths and Dan Murphy’s account for a large share of the market. However, countless specialist stores thrive too. But regulatory constraints mean it’s not always possible to open up a new bottle shop in your chosen location. This is one reason why many people choose to buy pre-existing businesses or franchises instead. Buy a franchise and you acquire a recognised, trusted brand, the bulk-buying power of a large company (which can translate into lower prices or wider margins) and established links with suppliers, while you can benefit from well-resourced local and national marketing campaigns. Once you’ve found a business you’re interested in, you’ll need to assess the store’s financial picture and its earning potential to ensure you are paying a reasonable price. You are wise to appoint a business broker to help you obtain profit-and-loss accounts, arrange a visit to the premises, handle legal and regulatory paperwork and negotiate a sale with the vendor on your behalf. You should also research the local market. What are the area’s demographics and are they conducive to strong demand for alcohol? Is demand likely to be stronger for premium brands or budget booze? How much competition is there in the local vicinity? Although bottle shops tend to have a large proportion of repeat business from local people, passing trade is important too. The location of the premises is therefore significant, so consider footfall when visiting the premises; is there a high volume of cars passing and/or pedestrians walking by? Drive-through alcohol retail outlets are not uncommon in Australia, so there is scope to apply for planning permission and add a drive-in element to your bottle shop (if your location can accommodate it). One Brisbane bottle-o even opened an adjoining restaurant and bar, allowing guests to dine in and choose a bottle from the shop to accompany their meal.